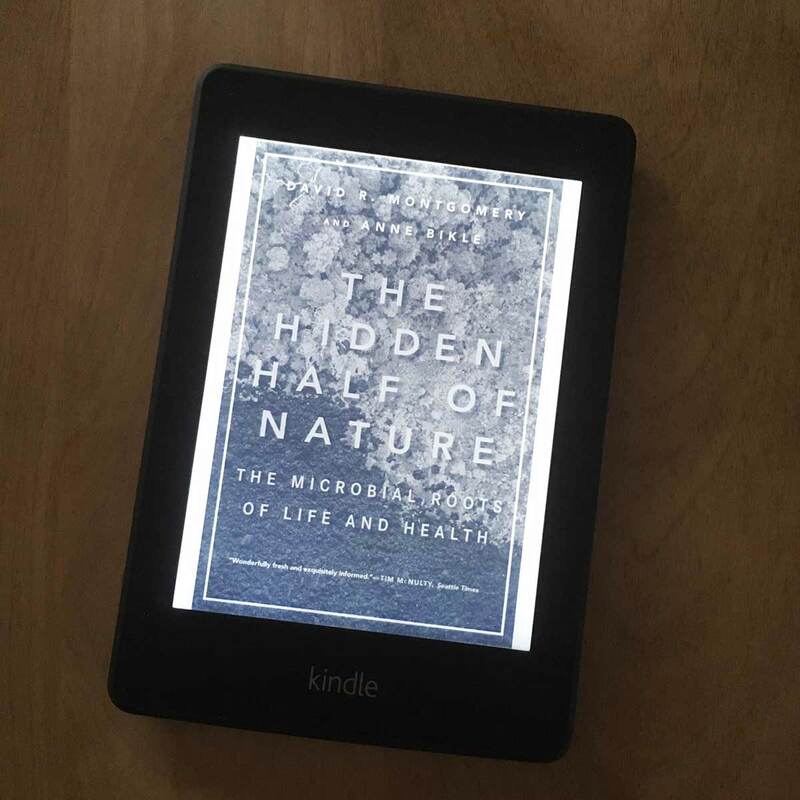 The full title of this book is “The Hidden Half of Nature: The Microbial Roots of Life and Health.” I was originally turned on to this book because it talks about soil health and about how microbes are a huge part of this, but the book takes a turn and talks about the human body where I was greeted with a wide range of helpful, fascinating information. I was getting IV’s yesterday and had a long talk with the nurse about this book. She’s a fan, so am I. As our culture gets further and further from the land we now have several generations of children who have grown up with zero connection to the Earth. Consequently, things like food, soil, agriculture, etc. are things almost viewed as a waste of time or beneath us. (My point of view not the author’s.) This book talks about the basic science behind microbial health in the soil then goes on do the same in regard to the human body. I found this book a bit dense at times, to be expected, but when you concentrate you are greeted with a teeming, nearly invisible world that impacts us every moment of every day. I was on antibiotics for two years, attempting to kill Lyme, so just the part about gut health was enough to sell me on this book. Get it, read it.